My personal take on the rapidly evolving world of digital marketing and how to optimize our efforts as marketers. The wonderful thing about testimonials is that they have the ability to increase conversion rates across a wide variety of applications: direct-response landing pages, B2B lead generation, eCommerce, etc. Study after study has indicated that when we make purchase decisions, we listen to our friends and peers more than we listen to “experts.” Our social networks carry an amazing amount of authority, and testimonials tap into the authority of the crowd and give us ‘social proof‘ that our peers vouch for a product or service. What Do Your Trust Tattoos Say About You? A past client of mine coined a wonderful phrase when he mentioned the fact that his shopping cart “had all the usual security tattoos,” referring to the seals/badges/logos seen around the Web as credibility indicators and anxiety reducers. 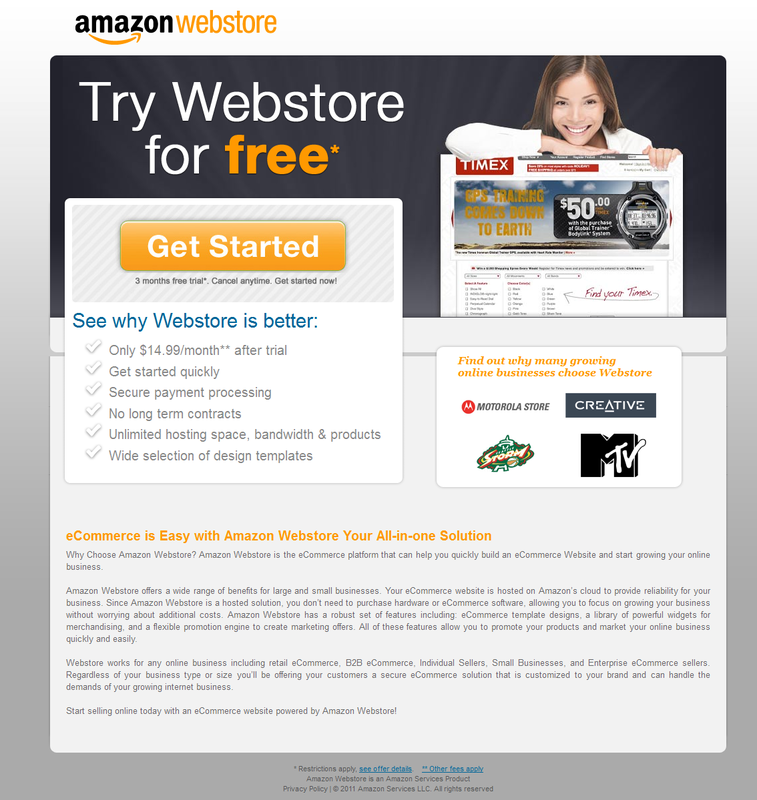 I recently came across a concept that got my curiosity revved up: a hosted eCommerce solution provided by none other than Amazon. I’m always interested in learning about up-and-coming eCommerce solutions, and you have to admit that Amazon “knows a thing or two” about eCommerce!